When three little mice attend the symphony together, two for the very first time, the novices look to their more experienced friend to help them understand what they are about to see and hear. Together they witness first-hand, the anticipation and excitement that comes from attending such a magnificent event. Adults looking to introduce children to the sights and sounds of the symphony will certainly appreciate this interactive book. Sure to keep youngsters returning again and again, this delightful introduction to the symphony, via Beethoven’s Fifth, will thrill music lovers and novices alike. Through this fun and engaging book, readers will learn about melody, harmony, and tempo. And with nineteen different interactive sound buttons kids can learn the difference between a variety of instruments, helping them to discern the subtle nuances in each one’s sound. 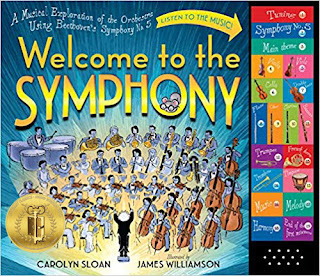 Recommended for home and school libraries Welcome to the Symphony has earned the Literary Classics Seal of Approval.